Why Have So Few African-Americans Been Elected To The Senate? October 31, 2013  Former Newark Mayor Cory Booker was sworn in Thursday, making him only the fourth African-American elected by popular vote to the United States Senate, and only the second in the chamber currently. This is in contrast to the 41 blacks who represent House districts. October 30, 2013  For all their notoriety as wasteful "pork barrel" projects, earmarks did have one obvious benefit: They helped congressional leaders pass spending bills. A multibillion-dollar appropriations package was much easier to sell to members if they could brag about something for their home states. In recent years, with earmarks banned, spending bills have largely been replaced with "continuing resolutions," which simply keep spending levels for existing programs going for a few more weeks or months. October 25, 2013  As House Republicans pummeled the White House at a hearing Thursday on the rocky online debut of federal insurance exchanges, President Obama tried changing the subject. He again urged Republicans in the House to do as the Senate has done and pass a broad rewrite of the nation's immigration laws. But the chances that could happen any time soon appear remote. October 18, 2013  One of the two items Republicans can claim credit for in the fiscal deal is the agreement for House and Senate negotiators to meet in a budget conference committee. But what happens if this committee does not produce a result by its December 13th deadline? Probably nothing. There is no consequence beyond having to abide by spending levels already set by the 2011 debt-limit deal — a level Republicans say they want to preserve, anyway. Budget Process Isn't Over. Are More Shutdowns Ahead? October 17, 2013  By wide margins in both the House and the Senate, Congress voted Wednesday night to end a 16-day partial government shutdown. 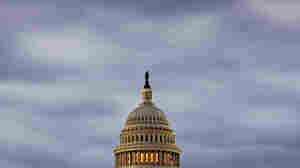 The measure also delays the debt ceiling deadline until early February. House and Senate Budget committees have until Dec. 13 to reconcile competing budgets. October 16, 2013  With the threat of a government default looming, House leaders tried to take the upper hand in the standoff with a bill appealing to their most conservative members. They failed, resulting in chaos in the House and giving the initiative back to the Senate. October 14, 2013  Since Congress first passed a law that set a cap on how much debt the Treasury could accrue, it has had to raise that limit more than 100 times. And 40 of those times, lawmakers have tried to tie strings to the vote. But veterans of past fights say they have gotten more intense in recent years. October 12, 2013  When the government shutdown was still a just a potential threat, it was all about the Affordable Care Act. Tea Party Republicans said it was their last chance to stop the health law, even if tying a defunding provision to a government spending bill would result in a government shutdown. Now, nearly two weeks in, Republicans have abandoned mention of the law. October 8, 2013  For days, House Speaker John Boehner has said all he wants is for President Obama to talk to him, to negotiate, to compromise. But Senate Democrats say they did talk, they did negotiate, they did compromise — and all it got them was Boehner reneging on a deal when his Tea Party caucus wouldn't accept it. Those bad feelings are hurting chances for a new agreement. October 7, 2013  A partial shutdown of the federal government is now in its seventh day. At the heart of the impasse is a political battle. 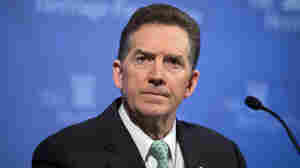 For the government to re-open, Republicans are insisting on big changes to President Obama's signature health care law. This is not the first time there's been GOP resistance to a new social welfare program that was advocated and signed into law by a Democratic president. October 3, 2013  The latest on a car chase and near the Capitol in Washington, D.C., Thursday afternoon. 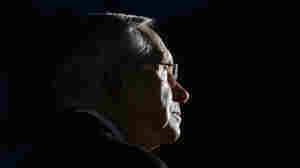 October 3, 2013  As the leader of Senate Democrats, Harry Reid has been in a lot of fights — but this one may be different, in that Reid has drawn a line. After a meeting with other congressional leaders and President Obama on Wednesday, Reid said: "The one thing we made very clear ... we are locked in tight on Obamacare." October 1, 2013  Before parts of the government began shutting down, the House and Senate bounced a series of stopgap spending bills between the chambers. The House would insert language to delay or limit the president's health care law, and the Senate would reject the Obamacare language and send the bill back. The two chambers did not reach an agreement before the midnight deadline.